Loteria™ El Mundo features the lucky symbols of the traditional Loteria board game. Spin the reels of this charming game and line up the the Sun, Moon, and Star Loteria symbols to trigger a thrilling Free Games bonus! 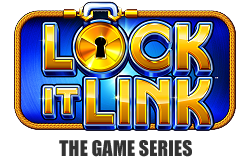 Link and Lock Crown symbols in the player-favorite Lock It Link® Feature, or Pick World Cards for big credit prizes!